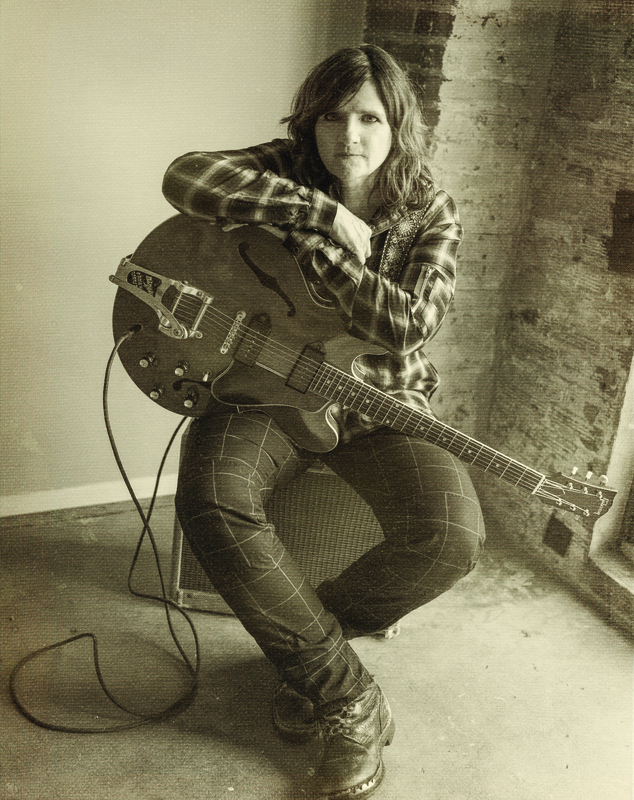 For over 30 years, Amy Ray has been renowned as one half of the Grammy-award winning folk duo Indigo Girls. She is also a community activist and has had an indie label, Daemon Records since 1989. With her debut solo album, Stag (2001), Ray turned in her acoustic for an electric and delivered a critically acclaimed album that showed her love of punk and rock. Since then, she has released five more solo rock albums; Prom, Didn’t It Feel Kinder, Live from Knoxville, Lung of Love, and MVP Live. Her first foray into country music came with her traditional country / Americana release, Goodnight Tender in 2014. She followed up with the release, The Tender Hour in 2015, a live recording of her country and rock exploits from The Triple Door, in Seattle as well as Indigo Girls studio album, One Lost Day. Indigo Girls Live with the University of Colorado Symphony Orchestra is being released June 8th 2018, and they will be recording a new album in January of 2019 in the U.K.
Amy Ray and her band’s new country album, Holler will be released on September, 28th 2018. It was recorded live to tape at her mainstay Echo Mountain Studio in Asheville, NC, with the added power and swagger of horns and strings that harken back to the country music of the late 60’s. Holler features special guests: Alison Brown on banjo, Kofi Burbridge on keys, Derek Trucks on guitar, Vince Gill, Brandi Carlile, The Wood Brothers, Justin Vernon, Lucy Wainwright Roche and Phil Cook on harmonies. Amy and her band will be hitting the road throughout the Fall of 2018 and beyond.